This Advent series focuses on the ways in which God is with us through our Lord and Savior Jesus Christ. Each week will focus on a different word picture of the coming Christ found in the poetic and prophetic words of Isaiah. Services will reveal how Christ continues to be present with us even now. The theme verse for the entire series is: “Behold, the virgin shall conceive and bear a son, and they shall call his name Immanuel (which means, God with us)” (Matthew 1:23). 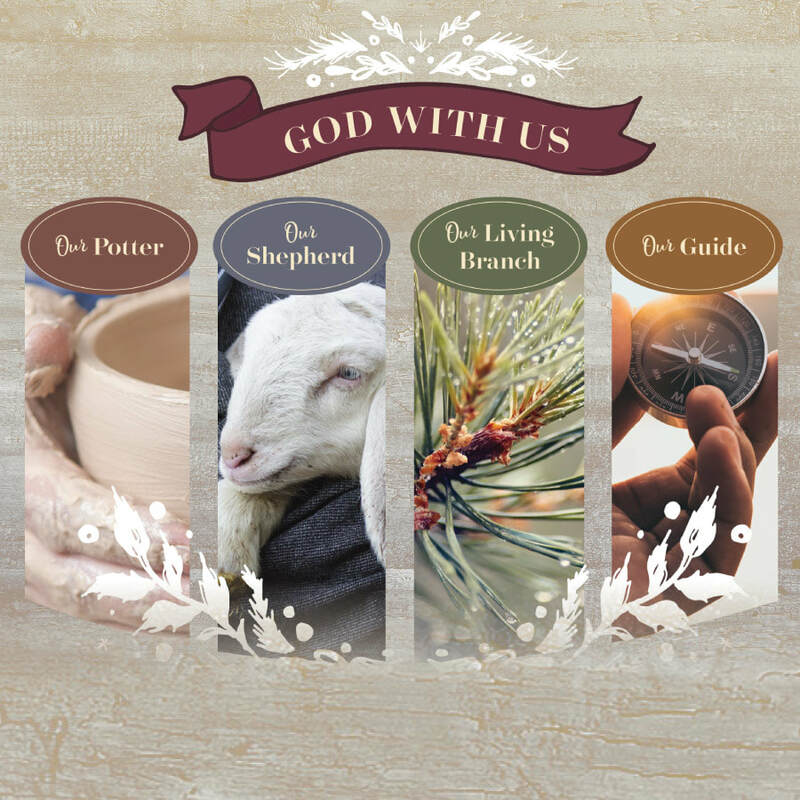 December 1-2: Our Potter (Isaiah 64:8): God is with us as our Potter, who shapes according to his will. December 8-9: Peace Cantata – “All is Well” with sermon focus on Our Shepherd (Isaiah 40:11): God is with us as our Shepherd, who carries us close to his heart. December 15-16: Our Living Branch (Isaiah 11:1): God is with us as our Living Branch, who died and rose to give us eternal life. December 22-23: Our Guide (Isaiah 2:3): God is with us as our Guide, who leads us according to his Word. Christmas Eve Services—The prophet Isaiah foretold, “The people who walked in darkness have seen a great light” (Isaiah 9:2). Join us for Christmas Eve to celebrate the great Light that has come into our world to dispel the darkness of sin forever. The Great Light has dawned: Jesus Christ is born; let us rejoice! Christmas Day Service with Communion at 9am—The prophet Isaiah said, “Therefore the Lord himself will give you a sign. Behold, the virgin shall conceive and bear a son, and shall call his name Immanuel” (Isaiah 7:14). Join us for Christmas Day to celebrate that our Immanuel has come, God with us, in swaddling clothes. The sign long promised has arrived in the flesh: Our Savior is born!